The task was to take everyday objects and to convert them to a new use. I took a toilet brush, which then functioned as a lamp. 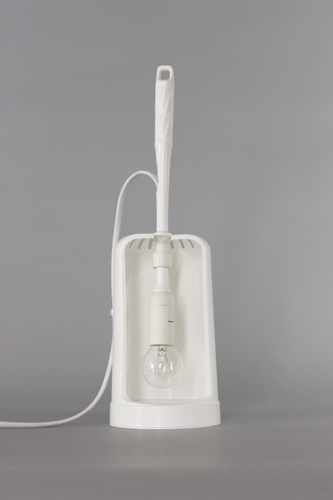 The holder of the brush forms the lampshade and the brush head is replaced by a bulb. 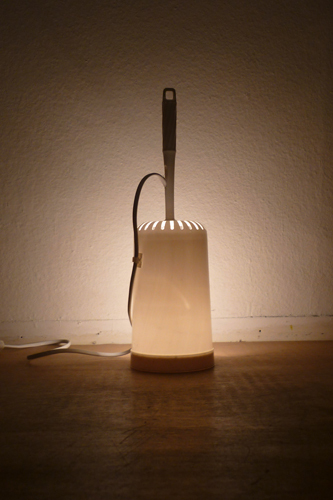 Thus one side of the holder is open and one is closed you can have brighter or darker light by turning the lamp. The brush with the bulb on top can also be used seperat.